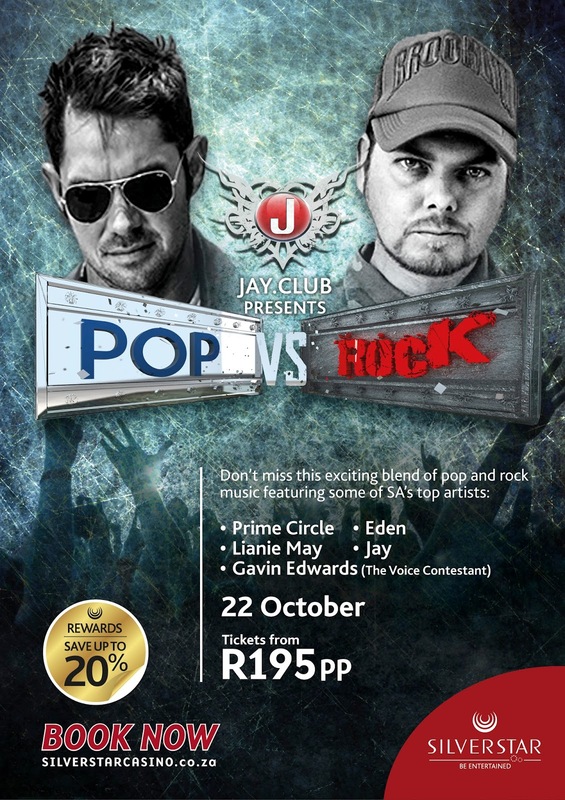 South Africa’s heavy weights in the Pop and Rock music world goes head to head in an energized concert with a production that will blow the audience away. Are you an equally POP and Rock fan? Brace yourself for a production that will showcase the very best of both genres in a concert with some of the biggest names in the industry the 22nd of October at Silverstar Casino – the Globe. Artist that will take the stage includes: Jay & Lianie May, EDEN, Gavin Edwards (The Voice contestant) and Prime Circle. Expect the unexpected and a few surprises and unexpected collaborations that will leave the audience in awe. Don’t miss the chance to catch these star blazing artists on one stage for one night only. Who will walk away with the title? All will be revealed the 22nd of October at Silverstar Casino. LIMITED OFFER: Be a VIP at the event – includes a meet and greet, prime seats and an after party. Only 46 places available.